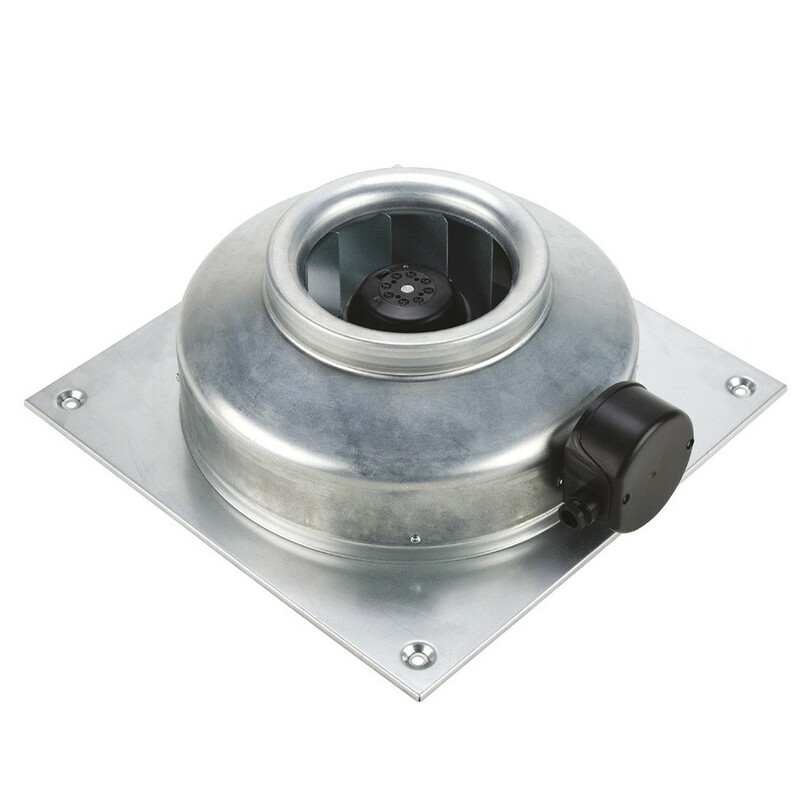 Range of wall mounted in-line duct centrifugal fans, manufactured from high grade corrosion resistant pressed galvanised steel. All model include an enclosed type, single-phase external rotor motor with factory matched backward curved non-stalling impeller. All motors are IP44, class B, with ball bearings and safety thermal overload protection. All models are speed controllable. VENT-V-160 fitted with 48V-DC motor.